Hopefully by now you’ve caught the rest of my Points League Sleepers series and buy into the great aspects of points leagues. You also know there are certain things that can make a player better in points leagues than say Roto leagues and vice versa. Steals are a huge category in Roto leagues. But because in most leagues they are only worth two points well… like in the MLB, they just aren’t as valuable. Walks don’t help you in Roto leagues but are a huge part of points leagues. Strikeouts lose you points and you get rewarded for hitting a double. These are the things you need to look for when searching for points league sleepers! Those without these traits are ones that lead to busts! Today we’ll look at the third base sleepers and busts for points leagues. As I have throughout the series, I will use Batter K%-BB%, meaning I will take their strikeout rate and subtract their walk rate. The lower the number, the better the points league hitter, as they will lose fewer points due to strikeouts and gain more due to walks. Those with a higher K-BB% are batters that are less valuable in points leagues. 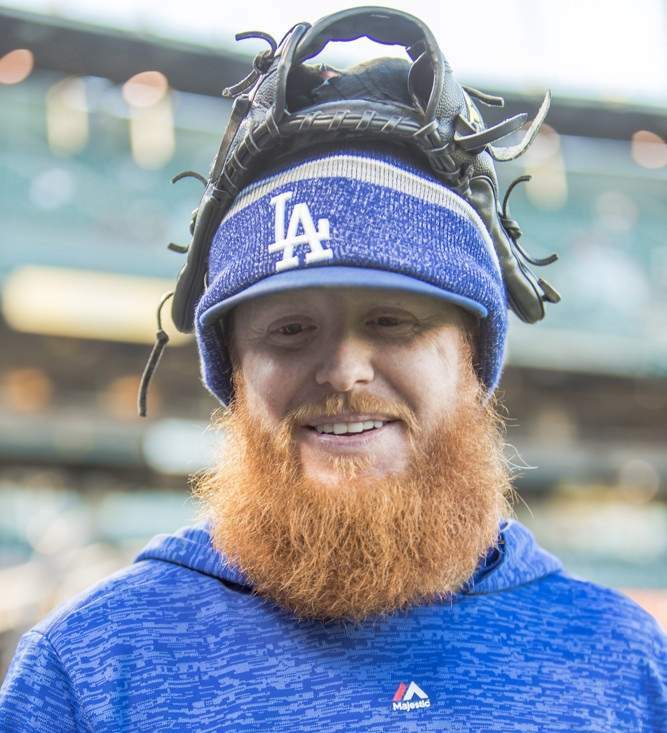 Justin Turner is one of my favorite points league third basemen. He sports a 1.7 percent Batter K-BB rate, the third lowest at the position. In fact, no other third baseman is even below four percent, so you can see that he is elite in this category. Last season he slashed .312/.406/.518. The reason you get a discount is that he only played 103 games, which hurts his counting stats. He only hit 14 homers and drove in 52 RBI, but he had a .201 ISO and still hit 32 doubles. Remember, doubles equal points in this format and while the counting stats may be down, the ratios aren’t. Turner is a great pick in points leagues and you get a discount on him. Travis Shaw is in a better position for fantasy success than he was in 2018. At least it appears that way for the time being. The Brewers infield got very crowded, very quickly in the second half, which cost Shaw some playing time. He is once again projected to be the Brewers every day third baseman and cleanup hitter. That bodes well as he had gains in his Batter K-BB rate in 2018, improving it to 5.1 percent. Shaw is an option you can wait on and still get great production from. Jurickson Profar is another option you can wait on at third base or you can use as a CI option if you expand your league. In 2018, Profar had a breakout year belting 20 homers and stealing 10 bases. He is valuable in Roto because of his power/speed combo, but he adds that value in points leagues with a 5.7 percent Batter K-BB rate. That was the seventh highest at the third base position. He also gets the boost of hitting 35 doubles in 2018. He will finally enter a season with a job and the former top prospect is another fallback option. Max Muncy is one of my favorite picks this season. Muncy had an amazing pace in 2018 slashing .263/.391/.582 with 35 home runs and 79 RBI in only 481 plate appearances. He lost time in the second half which is still concerning, but he plays first, second, third, left, and right field, so I think the Dodgers will find ways to get him regular at bats. Especially since there is no reason to platoon him as he hit .255 against lefties (.261 against righties) and had a .275 ISO. The only big concern I have is his 32.7 percent strikeout rate in the second half. Still, on the year he had a 10.8 percent Batter K-BB rate. In fact, here are some players he scored more fantasy points than, despite having fewer at-bats: Marcell Ozuna, Juan Soto, Ronald Acuna, Jose Abreu, and Aaron Judge. You do not need to pay for his ceiling, which I am always a fan of with breakout candidates. Zack Cozart is a deeper option in points leagues. He will never play a full season, but when he does play, he is effective. In 2017, he hit 24 homers and greatly outproduced his draft value. He was struggling when healthy in 2018, but he did increase his hard-hit rate to 36.8 percent and once again had a fly-ball rate over 40 percent. He had a 9.1 Batter K-BB rate in 2018, once again showing the plate discipline you want in a points league. Miguel Sano had an insanely high 28.1 percent Batter K-BB rate. That was the second highest at the position. His 38.5 percent strikeout rate was the worst at the position. He will lose entirely too many points due to strikeouts and struggled to the point of not only losing playing time, but getting sent down. Prolonged slumps are not uncommon with Sano, which means there could be weeks of you getting nothing from him. Stay away. Rafael Devers was a player I avoided in 2018. Not because I do not think he was talented, but I believed you had to pay for his ceiling. There was no upside to be had, but plenty of downside. He struggled last year, especially against lefties, as he showed no power against them. He had a 16.9 percent Batter K-BB percent, which is higher than you would like in a points league hitter. I would recommend trying to stay below 15 percent. Plus, the fact that he could once again platoon and lose playing time kills you in points leagues, where you need volume to amass points. The only way I would not avoid Devers is if he falls enough to justify taking a shot on the upside. Jake Lamb was awesome in the first half of 2017 season and that pushed him up draft boards in 2018. Lamb could not come through and ended up being a bust. Now we know his struggles against lefties are legit and I could see him losing time to Wilmer Flores against lefties. He also had a 16.4 Batter K-BB rate in 2018. Again, the same rule with Devers applies to Lamb, if he falls deep enough, then you can take a shot and hope he can recreate that 2017 first half. Evan Longoria is the epitome of boring. But that is not why you should avoid him. He had a 15.4 percent Batter K-BB rate, which is not great, but also not a reason to totally fade him. However, the fact that he had a 4.3 percent walk rate, which is entirely too low for a points league hitter. Also, he had a 42.4 percent ground ball rate and will once again play in San Fran, which has both a terrible lineup and ballpark. I do like his hard-hit and fly ball-rates, but there is too much working against him. And to help put these sleepers into play here is my Points League Draft Strategy for 2019. Are you digging on Michael’s Points League Sleepers series? For more great rankings, strategy, and analysis check out the 2019 FantraxHQ Fantasy Baseball Draft Kit. We’ll be adding more content from now right up until Opening Day! Shaw played the entire second half with a wrist injury that was bothering him and needed rest. That cost him playing time way more than anything else did. His end stat line was depressed by playing injured for almost half the season.